Welcome to this week’s choice for Wallpaper Wednesday. 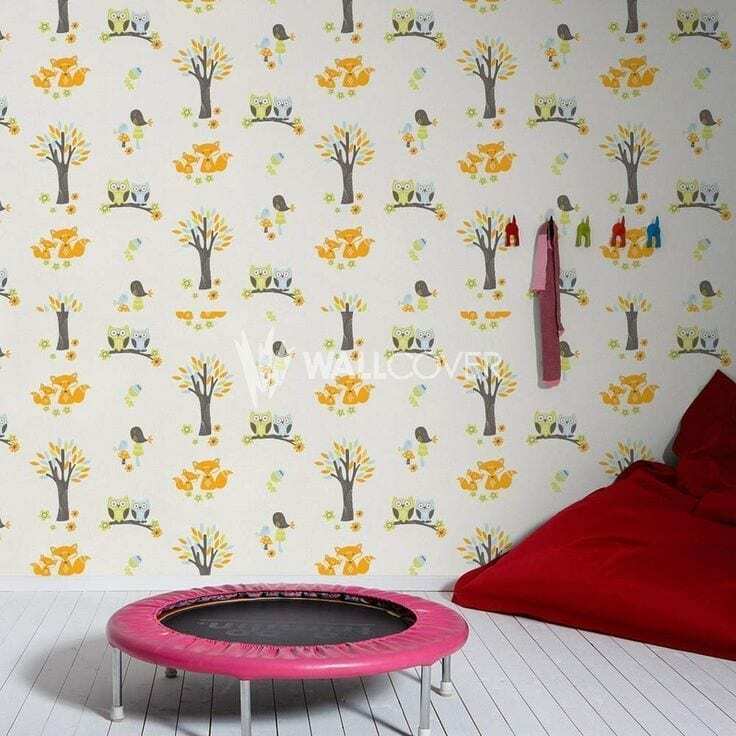 This one is an Esprit design from wallcover.com and is a great, contemporary look for kids’ bedrooms. Whilst many of our children are Disney or Peppa Pig fans, covering their walls in these designs will only mean you redecorating in a year or two when they’ve moved onto something else. Choosing a more neutral, yet fun and cute design like this one, will give you more choice and freedom in your scheme. The owls and foxes in this sweet wallpaper have a very Scandinavian feel and work well for both boys and girls, and for nurseries of course. Add some quirky accessories, some pale or white wood furniture and keep the look minimal and clean for the perfect kids’ room. I know it’s not easy keeping a child’s bedroom minimal, but some good storage and some decent bookshelves will really help. Forming part of the LivingWalls collection, it’s easy to co-ordinate your look with plainer papers, colourful emulsions paints, plus curtains and borders, and give the room a well designed and thought through scheme. Even if you’re just looking to gain some inspiration for your room, do check out the wallcover.com website for further details and purchasing information. This wallpaper is available from wallcover.com for £15 plus free shipping. Do you like this kind of style? Would you consider for your home? Previous Post Flooring Trends: What’s Hot?